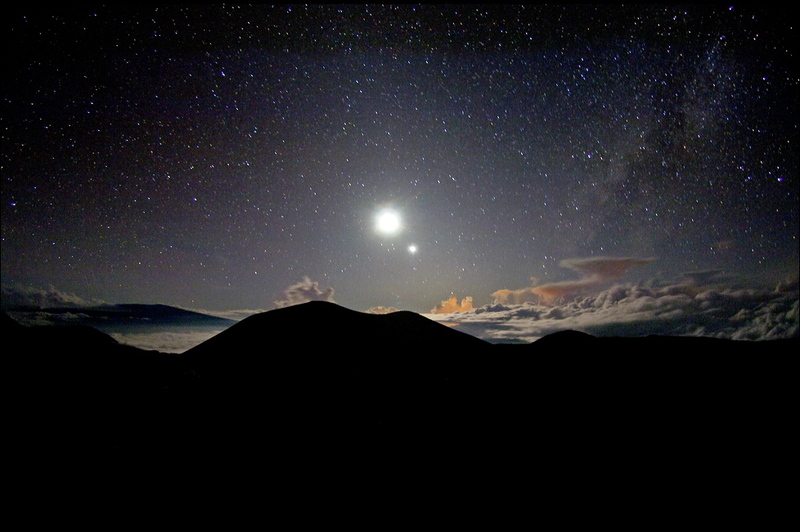 Explanation: From the windswept peak of Mauna Kea, on the Big Island of Hawaii, your view of the world at night could look like this. At an altitude of about 13,500 feet, the mountain top is silhouetted in the stunning skyscape recorded near dusk in early December of 2005. 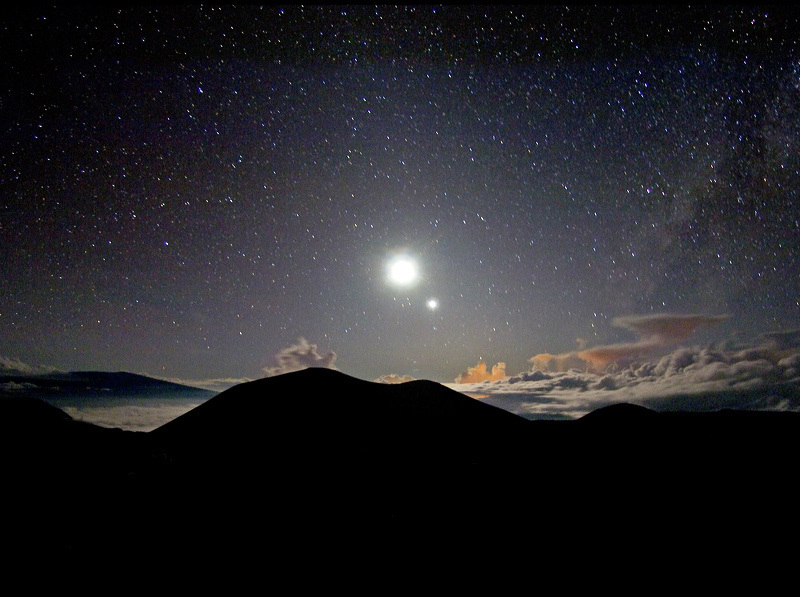 The volcanic peak rises just above a sea of storm clouds illuminated by a bright Moon. Planet Venus is setting near the Moon as the brilliant evening star. The scene also includes the faint, milky band of our own galaxy's disk of stars and cosmic dust clouds stretching from the horizon into the sky along the right edge of the frame.